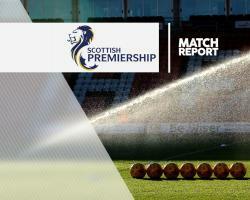 St Johnstone earned a first win in five matches as they put 10-men Inverness Caley Thistle to the sword with a clinical 3-0 victory in the Ladbrokes Premiership. It was a fourth consecutive defeat for Inverness, who are now five without a victory, and they plummeted to the foot of the table with results elsewhere. Davidson sat in front of the back four, allowing the Saints midfielders to burst forward in support of lone striker Steven MacLean. Craig's low shot past Owain Fon Williams gave Saints the lead. A 25-yard drive from Craig in the 28th minute troubled Fon Williams more than it should have, with the goalkeeper grabbing the ball at the second attempt. Warren was booked for persistent fouling and then obstructed the driving run of Swanson just seconds later to earn himself a red card in the 61st minute. Craig's superb ball sent full-back Brian Easton away down the left and his cross was perfect for Swanson, who drilled in from just inside the box.